Statistics show that about 15% of new mommas experience postpartum depression. And 70-80% of us experience “baby blues,” that 2 week period after the baby’s born when we can feel confused, overwhelmed, sensitive and just not ourselves. If this is you, you’re obviously not alone. Here’s what you need to know: There is no failure in pregnancy, birth and postpartum. You can move with grace through potential sadness, grief, fear, and anger to embrace and heal from your experience. When you are struggling with feeling overwhelmed and exhausted, depressed or anxious, unconfident and unsure, a holistic postpartum plan can give you back your joy and confidence. You got this. But it takes a village to raise a baby and new parents. Sometimes we just need a little guidance and support - especially in modern times. I know what it’s like to experience birth trauma and struggle to put it behind me. Or to try to find balance when there’s a new baby in the house - when the idea of “me time” seems like a cruel joke. Even as a nurse-midwife, I found myself in a postpartum situation that confused and scared me. Several weeks after the baby was born, I began to feel like I was over caffeinated. My thoughts were racing, I was extremely agitated, panicked, completely overwhelmed and unable to function. Making decisions felt impossible and I couldn’t sleep. I felt faint, and was losing weight. I was ashamed and embarrassed. How could I, an expert, find myself in such a state of confusion and intolerable symptoms of anxiety? I didn’t want to ask for help. The people I did ask were unable to treat me, and my husband was confused and worried. I started to have scary and repetitive thoughts. Noises seemed too loud. Faces seemed too big. What the hell was wrong with me?! I felt like I was drugged. Somehow I suspected my thyroid was off, so I asked my colleague to draw my labs. Then I nearly passed out. After a call to 911 and subsequent visits to a postpartum stress center, I learned that I had postpartum thyroiditis, an autoimmune condition in which the thyroid initially makes too much hormone, before not making enough. The diagnosis gave me the confidence to finally accept help. I knew now that I wasn’t crazy. I knew I shouldn’t be embarrassed...but I was at the time. I stayed with my mother, who lived several hours away - near the center - for an entire month. And my husband and friends all worked together to care for my other kids at home. I had to stop work for an entire year while recovering from my illness. And it took me a number of years to fully heal using a comprehensive holistic approach. My yoga and meditation practice were life changing, but the complete healing happened after intensive Clarity Breathwork sessions. It was the most delicious and miraculous feeling of relief I ever experienced. Throughout history, children were raised in communities. When a woman labored, she was surrounded by friends and family. She was attended to by the community midwife, often the same person who was there for the births of all the other babies in the area and potentially even her own birth. After birth, she was off duty to rest, recover, and get the breastfeeding, while her tribe cooked, cleaned, took care of the other kids, and did needed errands. Now, we live separated from our families, often experience pregnancy through postpartum more or less alone, and deliver our babies amongst strangers. A sister or mother-in-law might stay with us briefly after our babies are born, but then we’re on our own. In the US, women are sent home alone after a few days in the hospital, and maternity leave is shockingly brief. We’re expected to pick up at work right where we left off after just a few short weeks at home with our new baby. Paternity leave is almost non-existent in this country, except for some more progressive family friendly workplaces. Of course so many of us experience depression, anxiety, worry, and a lack of confidence! This way of viewing motherhood is simply unnatural. You can’t institutionalize the sacred. But, thriving postpartum is possible. Especially when you go into it with a plan. If you’re currently struggling in your “fourth trimester,” here are some tips you can implement right away to take the edge off. Exercise. Try to make time for whatever type of movement feels good to you. Have someone take the baby while you go to a class. Put her in the stroller and go for a walk. Put on a workout video while she’s napping. Turn on some music that reflects your mood and move your emotions with your body; then turn on something upbeat and dance like noone is watching. Connect with your community. Join a mommy support group either online or in-person. Reach out to friends and family that tend to cheer you up or make you feel comforted. Ask a neighbor to join you for a walk. Take a postpartum mommy and me yoga class. Don’t be afraid to open up about how you’re feeling. You might be surprised how many people can relate. And make sure to get daily soul nurturing hugs. Meditate. Taking time to center down can make a big difference in our energy and confidence. Spend quiet time in nature. If you’re not accustomed to meditation, find a guided audio to listen to or just turn on some relaxing instrumental music, get comfortable and focus on your breath. Nap. Now is not the time to stress about housework. Sleep deprivation leads to depression, anxiety, reduced memory and concentration, weight gain and a host of other health problems. Allow yourself to nap when the baby’s napping. The housework can wait. Skip the sugar. Regularly eating sweets and simple carbs like breads and pastries puts us through a vicious cycle. Sugar crashes lead to low energy and low moods, which lead to carb cravings. Stick to fresh whole foods - and add more protein and healthy fat for a balanced diet and a balanced mood. Do what you love. Each day, do things that bring you joy - even if it is for a few minutes at first. Think about what excites you and try to do more of it in your regular routine. Let it be easy and simple. That may be a quiet cup of tea, a visit with your friend, a stroll in the park, a flower or herbal bath in candlelight, watching comedy, getting a massage, doing some yoga. As baby gets older, make taking some time to yourself each day to do these things a non-negotiable like eating, drinking and sleeping. Seek help. When your sadness or anxiety feels like more than “baby blues,” seek a qualified professional to help you through it. If, like me, you have an undiagnosed medical condition, the suggestions above just won’t be enough. I have a holistic approach to life, including healing after pregnancy and birthing. Nothing replaces abdominal toning and exercise for restoring muscle strength and tone - which I encourage for all mamas as soon as they feel up to it postpartum. Nothing replaces touch, slow deep abdominal breathing, and a 'love your postpartum body' perspective that I promote. But I have found many mamas simply feel comforted by this support garment, especially early postpartum and temporarily as needed....to be used without forfeiting abdominal toning and strengthening exercise, breathing well and touch. I have found Bellefit supportive garments to help like they use belly binding around the world such as in Indonesia. They do aid in early postpartum healing and provide support many mamas feel comforted by. I deal with human beings and the reality is many postpartum mom's struggle with body image, feel frustrated that getting back to themselves takes longer than expected. Being into holistic health and healing includes being sensitive to real human struggles - the mind, body, heart and soul of each person and their unique situation. Having helped countless women with these issues after having a baby as a midwife, I have found many still love that binding and feel better with this support, and ability to fit into their pre-pregnancy clothes comfortably and sooner than they would if they went through a C-section or natural childbirth recovery without it - especially when they have to dress up and fit into a certain favorite outfit for a special occasion or wedding not long after having a baby. “Anne Margolis was my incredible midwife. She is practical, science-based, and vastly experienced, but most importantly, she’s an awakened woman here to light the path to your most joyful self. Anne is the incredible midwife who taught me, through this process, how to midwife my own patients’ rebirth experience. Excellent childbirth education and preparation in advance are crucial for rocking your birth and postpartum experience, and are major reasons why I created my Love Your Birth course. It is a comprehensive online course that teaches women what they need to know about planning and carrying out the birth that they want in all settings - the hospital, birthing center or at home. It’s a course on how to have a holistic, healthy pregnancy through postpartum - for the body, mind, and soul - and is how I have guided thousands of women and their families in my midwifery practice for over 21 years. It contains a rolodex of my favorite resources with over 200 of the best books, movies and supplies I use personally and professionally with my clients, family & friends. Even diving into a fraction of this list will have you feeling empowered and prepared for conception, pregnancy, postpartum and parenting...It includes resources on improving and even ensuring ensuring healthier pregnancy and birth outcomes than the status quo, and preventing and healing from birth trauma so prevalent in the modern world! I also help you prepare your mindset for such a task, to debunk myths, and to reframe any current ideas or conditioning about pregnancy, birth and postpartum that can use a change in perspective or that are simply incorrect and do serve you. After finishing the course, the idea is that you are now able to create and have the healthy, beautiful and empowering journey through pregnancy, birth and new parenthood that you really want. In part two of birth trauma in babies, we’ll be looking at how to prevent birth trauma in the first place for your little one. We’ll also look at how to help your baby heal from trauma, if it did already happen. Your baby will learn about care, love, and healing; it’ll benefit him or her for life! In terms of prevention, a healthy pregnancy and beautiful natural birth are sure ways of encouraging healthy outcome and without birth trauma for you or your baby. So, let’s quickly look at what you can do to promote a healthful and deeply fulfilling experience, while preventing any need for intervention that can lead to traumatic experiences. So, what can you do to put in place the kind of birth that will support you and your baby to come into the world as nature intended? Begin with preparation in pregnancy. Attend my webinar on preventing birth trauma. In it, I go over crucial tips that’ll help you develop a comprehensive plan and prepare for a natural birth. You must prepare well in advance, like you would for running the 26 mile marathon, or your own wedding. If you want to succeed in getting what you want - rocking and loving your experience and have a healthy outcome physically and psychologically - you can not afford to just wing it. Not in today's world. Yes, your body knows how to give birth, when we get our modern minds out of the way and we are with people and in settings that support it and do not disturb it when everything is normal and healthy. Look for a midwife or doctor and birth setting setting with high rates of successful natural births, without routine unnecessary interventions, that completely allows you to have your voice, and respects and supports your decisions. You may need to learn a complete mindset shift, especially if you do not know anything about natural birth, or have not been around it as women were throughout history; this is extremely important if you don't feel confident, have lots of fear and do not feel supported. Although underestimated, preparing your mindset is also a powerful and a foundational place to begin when creating your birth plan and getting ready for your birth. When you set your intentions for your experience, you’re more likely to manifest what you want. The mindset plays a huge role in the success of famous athletes, performers, as well as business men and women - they all have coaches to help them with that so they become the rockstars they are. You do not need to be famous or perform. But you do need to take back your birth so you can have a healthy one that you love, and without trauma. Your ability to do this rests in your attitude and mindset, that needs to transform and be different than the herd mentality. And do hire a doula - who can be your coach for your big day. It is another must. You already had a traumatic birth and want to plan for a much better, and completely different, experience next time around. If you answered yes to any of the above, then I recommend you take my online Love Your Birth course as it goes over all of this in much greater depth. I literally teach you how to transform your mindset so that it serves you on this journey of a lifetime. The lessons in the course come from my extensive experience guiding and and empowering women and their families in my practice. They’ve led to the awesome birth experiences that I have been honored to witness for over 20 years. All mamas who have been through it benefited from it immensely. Take a look. Babies are way more capable than we give them credit! Your unborn baby—when he or she is ready—is naturally inclined, with the help of your body's labor, to move through the birth canal of their own will and effort, when given the opportunity. In part one of this birth trauma in babies blog series I discussed how babies are actually more alert, cognizant and sensitive than we realize. If we interrupt the birthing and postpartum process when all is well, with any kind of medical or surgical procedures, testing and interventions, the baby will feel terrified, unsafe, their own agency taken away, their space violated and threatened. Then the trauma reaction ensues! Interventions that can cause trauma can include drugs, internal electrodes on their head, forceps, vacuum, cesarean, immediate cord clamping, suctioning their airway, rough handling, or separation from mom. All the more so when there are complications and interventions are truly needed. We need to be sensitive to the baby’s psychological experience when giving care during and after the process of delivery. In the womb and certainly as a newborn, baby is fully aware and conscious and is even more vulnerable to trauma than an adult, as baby's nervous system is still developing. In addition to the prevention mentioned above, we can help minimize risk of birth trauma by creating a homey and private atmosphere for both mom and baby - in all settings. That includes dim, soft lighting, and a quiet, peaceful, slow paced environment. Also, if a mom feels loved, honored, supported and cared for, if she feels calm, safe, intimate and sensual, she’ll not only labor real well, but also will have yummy hormones that pass over to baby, so baby is bathed in them and feels this as well. Check out my birth trauma series about mothers for more on how we can prevent and heal trauma in moms. When I talk about gentle care, I’m talking about gentle handling, soothing reassuring voice and touch, eye contact, being held, breastfeeding, and a lot of skin-to-skin contact with mom or partner —this should begin after birth. Don’t cut the cord immediately either. That is baby's life line to oxygen, blood volume and essential nutrients and immunity to help baby transition to life outside the womb. Clamp it only after the pulsing stops or the placenta is birthed. Babies also love relaxing music and bath water - and who wouldn't like flower petals floating around, the ambiance of real or electric candles, and a delicious light scent of lavender or citrus? If you have a water birth, watch them open up, move their arms and legs, and look around when held in the birthing pool. This is a sacred time for meeting, connecting to and bonding with each other, so unplug from your phone and computer, and have someone else in charge of spreading the exciting news and taking pictures. If a cesarean birth is needed, it can be gentle, to simulate a family-centered, natural birth as much as possible, so it feels like a huge personal celebration rather than an operation. These same concepts apply however baby comes into the world. Furthermore, any procedures or exams that need to happen after the baby’s birthed can be done at mom’s bedside while she’s holding and soothing her baby, explaining what’s going on if something is being done to either of them. A healthy baby needs to stay with parents at all times and not be rolled away in an isolate crib, taken to the noisy and brightly lit nursery of strangers for any examination or intervention. In today’s technological world, there are more stressful, scary, drug-induced labors and surgical births than ever before, especially here in the United States. Healthy birth has become an impersonal medical and/or surgical event, a potential crisis waiting to happen in an intensive care like setting in many hospitals; is not a normal, beautiful part of life, the humane, cozy, family-centered celebration it once was. Babies are not forced to have formula instead of breastfeeding. Needless to say, a lot of healing needs to take place in the last several generations, once birth was moved to hospitals in the early part of the 1900s! Let’s take a look at some of the things we can do to help heal birth trauma in babies. In working with traumatized babies and infants, the most important thing in giving care is love. This may seem obvious but don’t take this parental superpower for granted! As a parent, lead with your heart. It is full of wisdom and does not lie, but rather sends you in the right direction. When interacting with your baby, always have tenderness, comfort and compassion in mind—for yourself and your baby! The more compassion you have for yourself, the easier you can extend it to others in abundance. Practice Kangaroo Care - while in the hospital, if intensive care is needed, and definitely at home. This simply involves holding baby (clothed in a diaper only) against your skin and cover yourselves with a blanket. 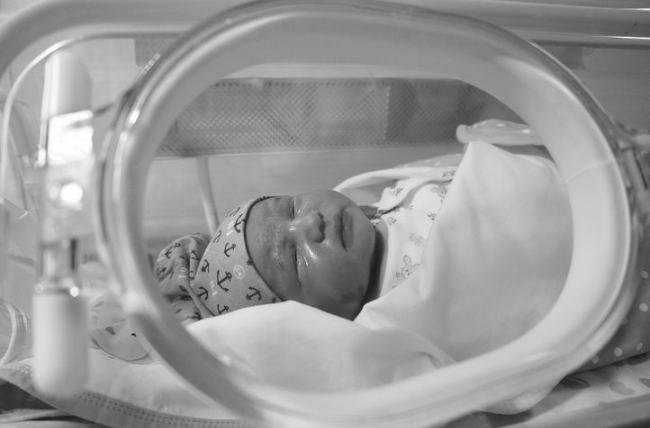 Its benefits are well documented and can be done safely despite baby's attachment to medical devices in the NICU, depending on baby's condition. Basic closeness, touch and attention improve their health and healing immensely. Your baby needs to know that even when life gets difficult—because it will—there’ll always be love. You can provide ongoing reassurance you are there for your baby. Talk to your baby in a soothing manner, and allow them to tell their story with their body and in the nonverbal way that they do. They have much to say without the ability to talk. Their excessive crying or “fussiness” is not simply difficult baby behavior—they’re trying to tell us something. Validate their scary experience and let them know that they’re safe now. Sing to them. Rock them. Calm them. Take a look at renowned midwife Karen Strange’s resources on baby trauma healing. She is an expert and international educator in neonatal resuscitation and works fully from the baby’s perspective. You can begin using these incredible tools of connecting with baby in pregnancy. In treating traumatized babies, Dr. Graham Kennedy tells us that a therapist will be observing and interacting with the affected baby through movement as well as through “hands-on palpation using craniosacral therapy.” Therapists skilled in somatic experience and cutting edge trauma healing modalities for babies are ideal. You can find a list of some wonderful ones here. Usually, the movements the baby begins to make are similar to those he or she made in the womb during labor, but this time giving us the story of what happened to them. This reenactment can have a profound change on the baby’s brain, rewiring them to experience what they would have experienced in labor were they to have had a stress-free and intervention-free experience. There are many possible imprints and effects of birth trauma, but they can all be healed. This is well backed by much literature, science and research, especially as we are growing in our understanding of trauma, its impact and how to heal from it when we get stuck in trauma responses. For example, down the line, you may notice your infant or young child having trouble starting or completing tasks (or both!). This may be an effect of their birth having been interrupted—this may have caused your baby trauma, it is stored in their bodies, and now they’ve learned to carry with them a certain passivity. Babies born by forceps, vacuum or cesarean may later on feel they have to be rescued, can't do it alone, support is painful, get angry with authority, being controlled or manipulated, or they may not want to be here at all - and that can impact every aspect of their lives. Babies who were drugged from their moms getting pain medication, may suppress their aliveness, have issues with addiction, feel spacey, out of it and trouble being conscious in their own lives. Babies who spent time in an incubator away from their parents, feel separate and alone, have deep longing for connection and touch, develop a psychic wall of protection, and are easily triggered by abandonment. In later childhood through adult years, this can be completely resolved with Clarity Breathwork - I do sessions locally in my practice, and online for the global community. The trauma response is an important part of our lives and it is our brain’s and body's way of protecting us at the time of perceived danger. It is a normal instinctual reaction in animals, including humans of all ages, and does not become a disorder unless it is interfered with and suppressed. It does however, need to be treated with expertise for complete effective healing. If there is a traumatic response dysfunction, it is not a life sentence. You don’t have to hold on to those scripts anymore and neither does your baby. Full recovery is possible. Healing birth trauma in babies is one of the most caring and giving things we can do for our children. Do you want to heal from trauma, inner stress and emotional pain that is negatively impacting your life? Let me help you! Read my book Trauma Release Formula available on Amazon.